The Launch Place has added another young company to their diverse portfolio. 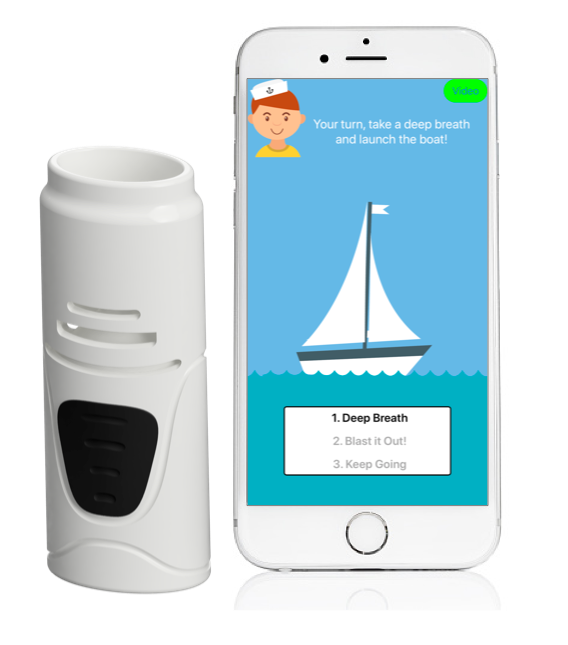 Raleigh medtech company VitalFlo will receive a $75,000 pre-seed investment from The Launch Place to help them develop their lung health analytics platform and patent-pending mobile spirometer. Founded in 2017, VitalFlo represents an ideal candidate for The Launch Place’s Pre-Seed Fund. With competition wins like NASA Tech Briefs’ Create the Future Contest, North Carolina State University’s Lulu eGames – once as students and again as a startup – and The Launch Place’s own Big Launch Challenge under their belt, The Launch Place President and CEO, Eva Doss, believes VitalFlo has the drive to build and streamline their product to tap into a $50 billion market opportunity1. It isn’t just the idea that sparked The Launch Place’s interest in VitalFlo. With a working prototype and an obvious passion for their company mission, Doss says that they have the potential to be a competitive market player. “The management team is committed with a well thought out plan and they have established an excellent team of trustworthy advisors,” says Doss. The idea behind VitalFlo came to company cofounder and Chief Technology Officer, James Dieffenderfer, while participating in a product innovation class at North Carolina State University (NCSU). Tasked with finding a solution for asthma management, Dieffenderfer and his team formulated a concept for a mobile spirometer, where the data would be recorded with an accompanying smartphone app. The team’s design for a mobile spirometer was then nurtured by Dieffenderfer within the NSF Advanced Self-Powered Systems of Integrated Sensors and Technologies (ASSIST) Center at NCSU, where the device was developed to reliably help asthma patients manage their condition. According to the Center for Disease Control and Prevention (CDC), one in 13 people have asthma, which totals to about 25 million Americans2. The CDC also reported that around ten people die every day from asthma related symptoms—in 2015, it was recorded that 3,615 people died from asthma3. Between doctor visits, medications and hospital treatment, patients can spend upwards of $5,000 on treating asthma symptoms alone. VitalFlo isn’t just providing a band-aid for the problem, says company cofounder and CEO, Luke Marshall. They are building a lung health data repository to support their product that they hope will one day open the door to a future with no asthma attacks. Over the next year, VitalFlo plans to finalize their mobile spirometer design and get clearance from the Food & Drug Administration (FDA), which will allow them to go to market. As they kick off their partnership with The Launch Place, Marshall says the VitalFlo team is excited about the assistance The Launch Place can offer with business and administrative needs, as well as the professional introductions that can be made through the relationship. With the south-central region of Virginia holding the highest rates of inpatient hospitalizations due to asthma4, Marshall also believes that Danville will provide a wealth of clinical data to build upon their repository. Atsjournals.org. (2018). The Economic Burden of Asthma in the United States, 2008 – 2013 | Annals of the American Thoracic Society | Articles in Press. [online] Available at: https://www.atsjournals.org/doi/abs/10.1513/AnnalsATS.201703-259OC. CDC.gov. (2018). CDC – Asthma. [online] Available at: https://www.cdc.gov/asthma/default.htm. CDC.gov. (2018). CDC – Asthma – Most Recent Asthma Data. [online] Available at: https://www.cdc.gov/asthma/most_recent_data.htm. Virginia Department of Health (2018). Asthma Burden in Virginia. [online] Available at: http://www.vdh.virginia.gov/content/uploads/sites/94/2016/07/AsthmaBurdenReport.pdf. The Launch Place, from a $10 million grant received from the Danville Regional Foundation in 2012, assists with entrepreneurship and business development, and job creation and retention through its business consulting, mentoring and training, residential and office subsidies, and two seed investment funds in the Dan River region of Virginia and North Carolina. VitalFlo is pairing technology with clinical data in to build a world where no one ever suffers an asthma attack. They are redefining the standard of care for asthma management by providing actionable recommendations to patients before they have an attack. Their mobile spirometer is patent-pending and licensed by North Carolina State University.